Well, we are home from the hospital now & looking forward to future events! My mom is doing great & her Cellulitus has completely cleared up. She will continue to be on a week of antibiotics & then we can say goodbye to that hospital stay for good! Thank you to everybody that visited, sent their well wishes & prayed for Mama Jules! It is the love & support that keeps her chin up when unexpected things happen. So a special “THANK YOU” to you all! 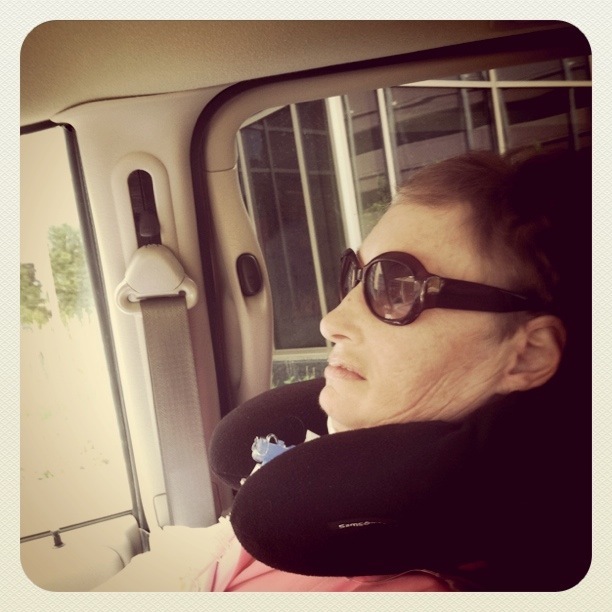 Mom enjoying her ride home from the hospital! Yes! And on to the next exciting event in our life. The Walk to D’feet ALS! 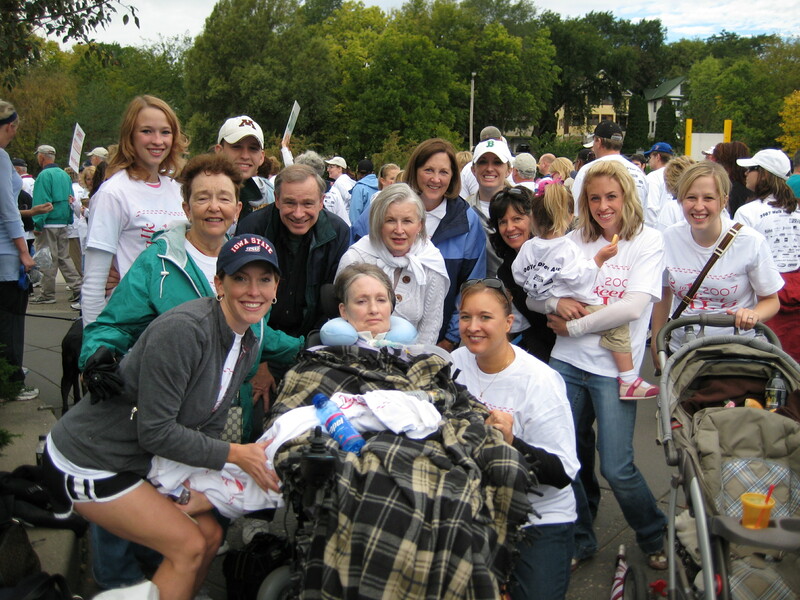 This year’s walk is on September 24th, 2011 at Lake Harriet. Check in begins at 9:00 AM & the walk begins at 10:00 AM. This will be our 6th year walking & we look forward to it every year. 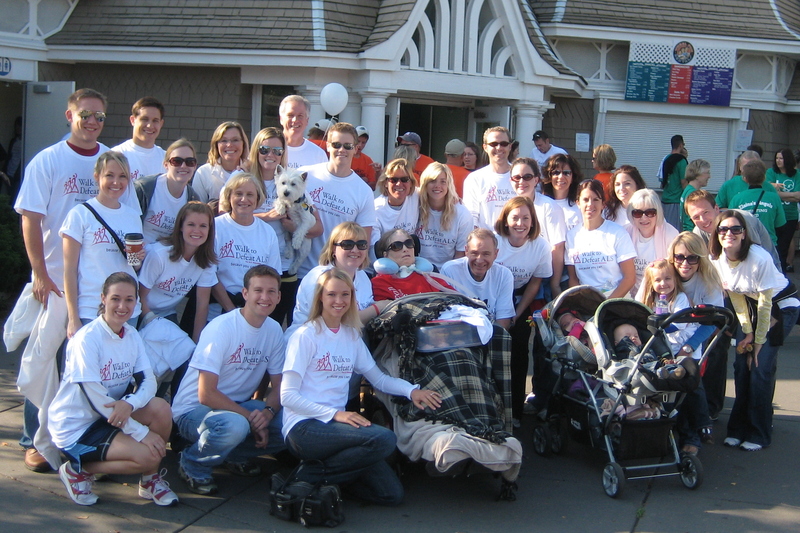 Last year was our biggest walking group to date & we invite you all to walk with us this year! If you cannot walk, we would love the support of a donation in honor of our team “Julie’s Eagle Wings”. 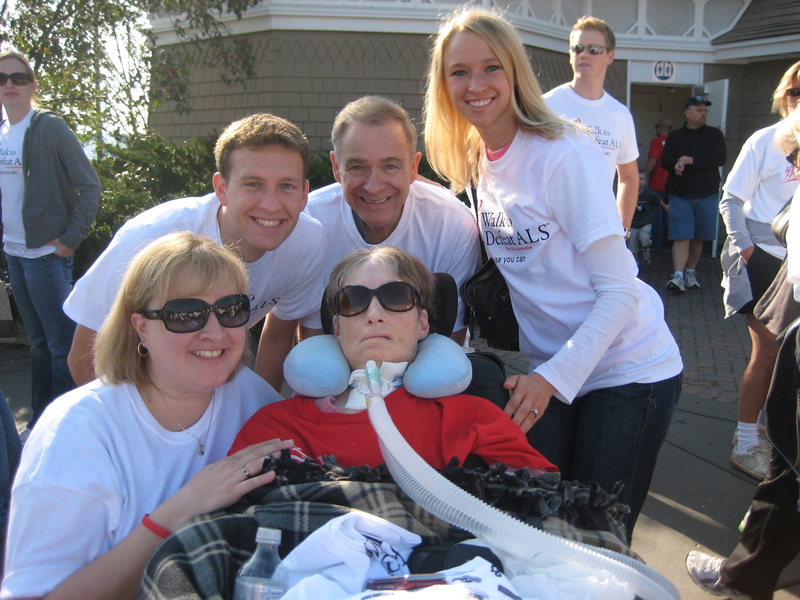 The ALS association has been so wonderful to our family through this entire journey. Whether it is equipment from their loan pool, paying for respite care (Catey, who comes every week to help us out) and RESEARCH, RESEARCH, RESEARCH, the ALS association does wonderful things & personally helps our family every year. If you are able to join us at the walk, please sign up & join our team. You get a free t-shirt & we get excited every time we see a new name added! Just click here to join our team! We would love to have you! If you cannot make it and would like to support our team with a donation click here Lets get this nasty disease closer to finding a cure! Below are a few pictures from past walks. As you can see, we have a great time! 2009 close-up with Mama Jules! We just love her! Our team always meets at the Lake Harriet Bandshell between 9:00 am & 10:00 am. The walk always begins promptly, so please allow extra time so you are able to find the parking spot of your dreams! Thank you again on behalf of the entire Eagle family! If you have any questions, please email me at: kellye78@gmail.com.